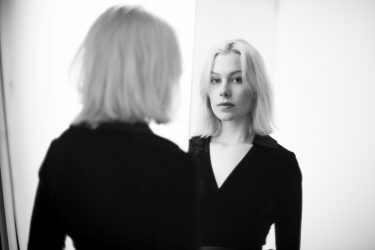 Phoebe Bridgers, a Sequoyah School alumna, has reached star status, dropping her second album, “Better Oblivion Community Center,” this week. 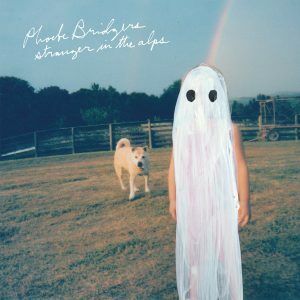 For someone so young, Phoebe Bridgers has been working at music a long time, pretty much since she picked up a kid-sized guitar at age 10 while a student at Sequoyah School. Now a mere 24, the Pasadena native has become a bona fide rock star who this week dropped her second album, “Better Oblivion Community Center,” a collaboration with Conor Oberst (of Bright Eyes fame) on the Dead Oceans label. The band, named the same as the album, was scheduled to make its first appearance on CBS’ “The Late Show With Stephen Colbert” on Wednesday night. But Bridgers, no matter with whom she collaborates — which is often and in diverse styles — has made a sound all her own, one that at times could be described as country-tinged, indie folk rock melded with electronic undertones. It’s no secret that her lyrics are, well, dark and sad — even described as “dysphoric” by the Fader magazine — but offset by a powerful, clear voice that is sweet and melodic. A producer as well as singer and songwriter, Bridgers likes having a hand in multiple creative projects at a time. In 2018, she was touring individually with musicians Julien Baker and Lucy Dacus when the three formed a new band called Boygenius, releasing six songs on an EP and launching a tour. Recently, just before embarking on a European press tour for her new album, Bridgers took some time to discuss her creative process and increasingly busy schedule. Bridgers has been on the way up for some time. In 2017, she signed with Dead Oceans, releasing her debut album, “Stranger in the Alps,” to rave reviews, in particular for her signature, lilting voice paired with deeply personal albeit cryptically dark lyrics. During a performance of songs from that album at the Wiltern this past year, Bridgers noted she was going to “lighten the mood” with a song about domestic violence. Despite the admittedly sad tunes, Bridgers is funny on stage, conducting a snarky, tongue-in-cheek conversation with the audience as she tunes her guitar. For some songs, she ends up lying on her back. Phoebe always excited the crowd when she played at Sequoyah School talent shows and assemblies. Bridgers created her first band while in 6th grade at Sequoyah, having learned fast on the guitar after being taught some chords by her father, and became a regular in talent shows and drama performances (although she laughs at that now, saying, “I’m a really bad actor”). Early on, she caught the attention of some of the music-industry parents at the school, known for attracting children of professional creative types. Although she had some piano lessons when she was young — “I rebelled against playing piano, it was just so hard” — her musical passion was stoked by her mother, Jamie, who had an enormous collection of classic rock, folk and country records and took her to concerts from a young age. “I took her to see Barney live — twice! — Kelly Clarkson,” laughed Jamie Bridgers, adding that she also took her daughter to “cooler stuff,” like Patti Smith and Beck, when she was a young teen. At one of those concerts, Rob Waller, a Sequoyah father and lead singer of I See Hawks in L.A., was performing. He ended up collaborating early on with Bridgers and later they wrote a few songs together while she attended the Los Angeles County High School for the Arts to study singing. “From a very young age it was obvious she was enormously talented, both as a guitar player and a singer and a well-rounded musical person — she’s a prodigy, I really believe that,” said Waller, who continues to collaborate with Bridgers whenever he can, acting in a recently shot music video for one of her new album songs. While at LACHSA, Bridgers worked relentlessly wherever she could get gigs, even free-styling, or “busking,” on street corners, at the Pasadena Farmers’ Market, local coffeehouses and a pizza parlor. She made decent money, her mother noted, saying she treated performing like a part-time job. “They say when a kid finds something they want to do, you just can’t stop them. Well that was Phoebe,” said Jamie Bridgers, noting that her daughter would play guitar all the time, often in lieu of homework. After graduating from LACHSA in 2013, Bridgers moved up the chain slowly, sometimes painfully, opting out of paying a lot for a music college to just keep working, show by show. She recalls the days of busking that helped her build character. 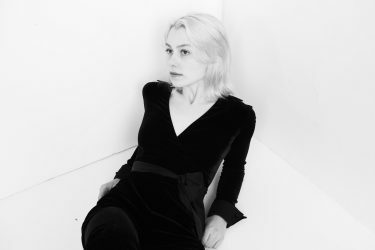 Pasadena native Phoebe Bridgers is a singer, song-writer, guitarist and producer. Sequoyah Director Josh Brody said he remembers Bridgers from her rendition of “Puff the Magic Dragon” at age 6. 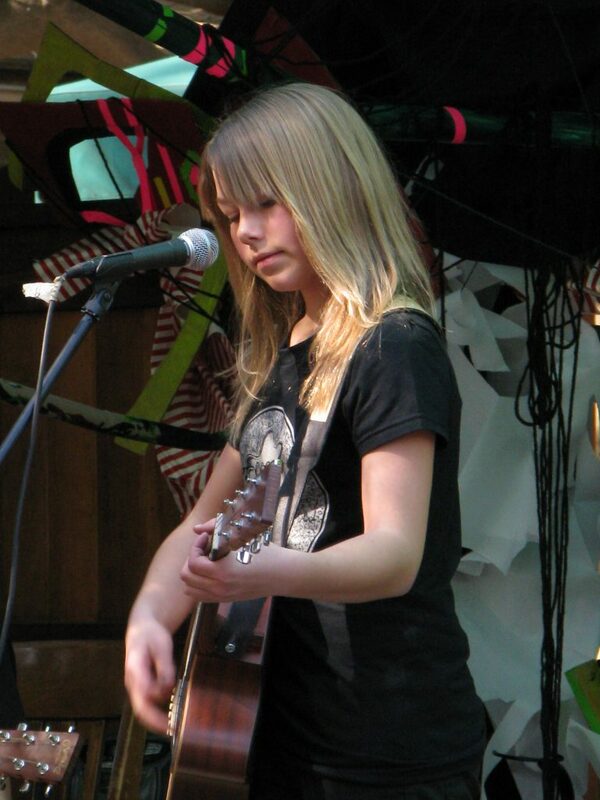 That evolved into her performing original guitar pieces at school assemblies and talent shows. Bridgers, who now lives in Echo Park but is rarely there due to her touring schedule across the country — she’ll also be in Australia and Japan later this year — comes back often to Pasadena and the close-knit group she found while in school there. She’s often in town at her mother’s house or meeting up with musician friends. “Pasadena used to be so uncool to me, but now I do sets there, we practice there, we do photo shoots. … It used to be the ’burbs to me, but now I’m there all the time,” she noted. Going forward, Bridgers said she is ready to hunker down for a while and work hard creatively — there’s a lot more she wants to do, especially with producing and writing. She doesn’t pay much attention to being more mainstream or to fame or what that might entail.